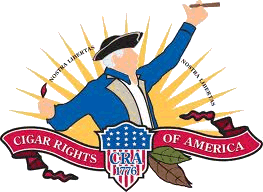 As you may already know, Craig and I like to include a brief review of each episode’s Half Ashed Cigar of the Week – he does the review for my selections and vice versa. 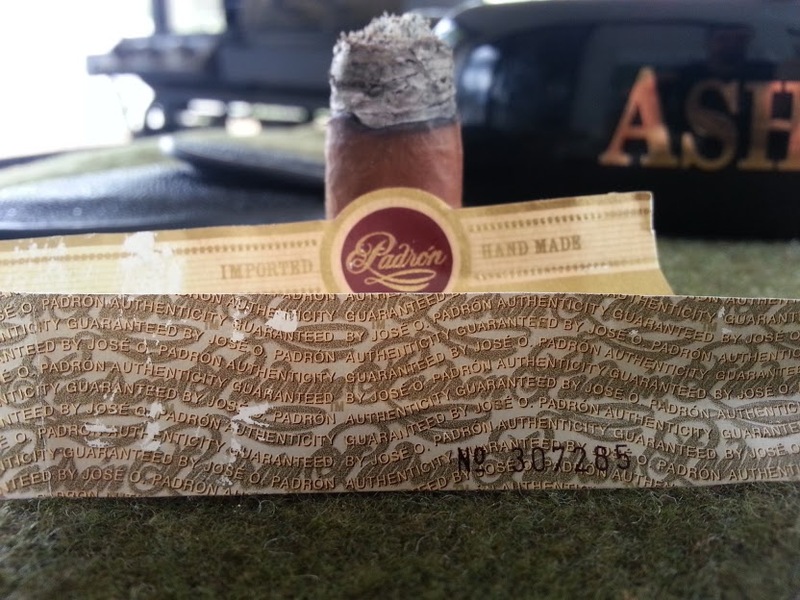 Back in Episode 013, we featured the 2005 Padron Aniversario Natural and I neglected to post the review. So, accept my apologies with the belated ramblings below…. 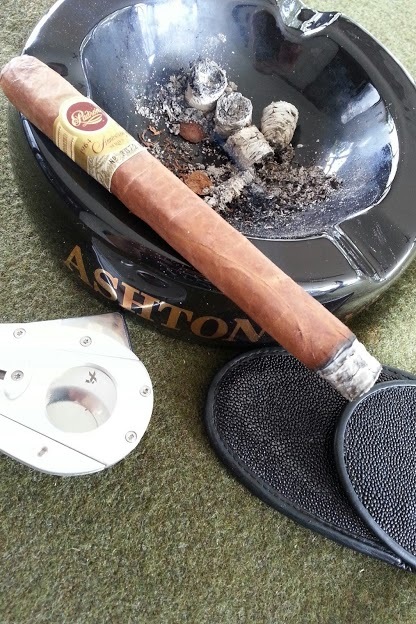 In typical Padron fashion, the construction and appearance for this cigar are absolutely flawless. Faultless cap; no voids nor overly dense areas; just about as perfectly built a cigar as one can find. The wrapper provides only a faint aroma of cedar, which may be from its years in the humidor. The foot aroma is somewhat bolder, with a bent toward sweet hay. The cold draw is delicious. I perceive it as cedary, and almost minty, even. It carries an evenly colored, medium-brown wrapper – which has settled into every nook and cranny of the bunch and binder beneath. The press is sharp but not awkwardly so. At first light, I get a bit of a dusty beginning on the initial puffs – in feel alone. The flavor borders on a floral, or clove-like sweetness but is almost obscured by the dry texture. Once the dust has settled, this Padron really begins to shine, providing creamy allspice, perhaps even touching on cinnamon-sugar. This sweet spice is quite prevalent, with basically none of the cocoa I’m used to in its maduro counterparts. There was a noticeable tinge of sweetened coffee, though, which was very pleasant. The dustiness dropped off by the end of the first inch, leaving behind the creamy sweet spice throughout the midsection of the cigar. Although I shouldn’t be, I’m struck again by the lack of chocolate and cocoa flavors I find in the maduros. By the final portion, a slight bit of the earlier dusty character has returned – but never in full force. The finish is long and leathery; leaving me wanting more. Not more from a cigar; more of this cigar. As an added bonus, this Padron had a very significant physiological “relaxing” effect on me. A fantastic smoke! I don’t keep many of any Padron Aniversario around long-term. I tend to buy one here and there for an “occasion” – or even no particular occasion sometimes. This experience has shown me the folly of that philosophy. Both of the examples smoked for this week have just simply been phenomenally enjoyable cigars, and both have made me want to put some away for a while. If I can keep my hands off them in the meantime, that is….. I really need to go out and buy one of those, I have not smoked any of those, and I think I’m a cigar smoker! Good review, as always, thanks guys. This was a fantastic smoke, Swede. This particular vitola is one of the less expensive options in the line as well. Highly recommended!